Try as it might, even Google can’t do everything perfectly. While Google Apps for Work has become the productivity suite of choice for over five million businesses, including Lucid Software, it has yet to match the intricate functionality of its desktop forerunners, some of which enjoy as much as a 25-year head start on their cloud-based replacements. 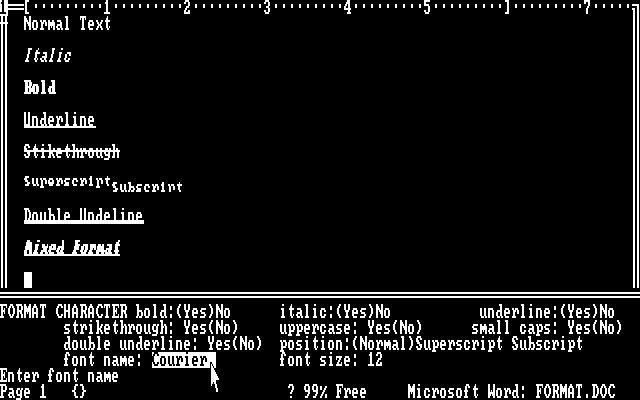 Believe it or not, the first version of Microsoft Word appeared in 1983 as Multi-Tool Word for the now-obsolete Xenix operating system. The makers of UberConference, an app that can open a conference call with all the other editors in a Google doc, might not have reinvented the wheel, but they have made collaboration a lot smoother. You’ve probably found that the more people working on a single Google doc at a time, the more chaotic it becomes. This app lets you open a video or audio call with the other users in order to sidestep the problem of editing over one another. It’s also a great standalone conference call platform, with an unprecedented array of options, including screen sharing, one-on-one chatting with other callers, and PIN-free entry mid-call. That’s right, the word grammar is now an adverb. If you’re not sure what that means, this is the app for you. Because its algorithms are designed to take context clues into account, this grammar and spelling checker is superior to Microsoft’s proofing tools: it identifies not only misspelled but also misused words. Best of all, it works anywhere you type online. Tired of staring at your empty inbox, waiting for an important email? Instead of keeping that extra tab open 24/7, install Checker Plus to start reading and listening to emails instantly just by clicking the icon in your browser. With customizable visual and auditory cues to let you know when you receive new emails, you're sure to stay up-to-date. If you have multiple accounts, try color-coding it to indicate which email account received a message. With the advent of cloud technologies, people now are more likely to look for information online rather than in print. What better way to publish in the cloud than to prepare those documents in the cloud as well? Lucidpress, an online publication software, is ideal for generating and sharing documents such as flyers, magazines, newsletters, and lesson plans, whether you intend to print them or post them on your Twitter account. then share or publish them in print or online. Its wide variety of professional templates coupled with the intuitive drag-and-drop interface make this a great tool for both seasoned designers and first-time self-publishers. If there were a Miss World or Mr. Universe for diagrams, chances are the winners would come from Lucidchart, an online diagramming application that is not only a replacement for Microsoft Visio but also a step up in terms of ease and elegance. In Lucidchart, simply drag and drop to create professional-looking charts and diagrams, including flowcharts, wireframes, mockups, and more. Edit them in real time with others on your team. Then, with the extension for Google Apps, place those graphics directly into Google Docs. You can also create and share Lucidchart files without leaving Google Drive. While Google Slides doesn’t currently support add-ons, PowerPoint isn’t the only option for those in need of more robust presentation software. This cloud-based video and presentation software is not a watered-down Powerpoint; rather, it’s a whole new take on how communication should engage its audience. For instance, its standard library of cartoon people strikes the perfect balance between professionalism and fun that will keep viewers’ eyes glued to the screen. If you prefer your wealth and fortune to come easily, possibly on a silver platter, this add-on is for you. Instead of starting from scratch, you’ll have access to a variety of easily customizable templates ranging from personal finance to resumes and more. You’ll be astonished at the mileage these templates get out of the seemingly simple Google Sheets and Docs features—install it in both for maximum convenience. This Google Docs add-on automatically creates a table of contents that corresponds with the heading text throughout the document, allowing you to jump to relevant portions quickly. You have two options: you can either install this app today, or you can continue to meander through long documents aimlessly by employing a combination of mouse-clicking, slider-dragging, key-pressing, wheel-rolling, and eye-rolling, while you helplessly try to spot the section you need before it whizzes past. I’ll leave it up to you. It was hard enough to organize a messy set of data without facing the necessary load time associated with cloud-based Google Sheets—but this digital toolbox makes it all worth it. Splitting cells, changing text case, and shuffling values are just a few of the functions made easier (or possible) with Power Tools' handy one-click toolbar. I debated about not including this one, as it seems so obvious, but this app can really make a difference when it comes to adopting software as a service (SaaS) as a way of life. In short, this app will automatically open Word, Excel, and PowerPoint files that you drag into your browser, with Docs, Sheets, and Slides respectively. You can then edit and save them, either in their native Microsoft formats or their Google counterparts. While I hope you found this list useful, finding additional extensions suited to your needs is easy. Just visit the Chrome web store, or click “Get add-ons” under the “Add-ons” menu found in Google Sheets, Drive, and Docs.